ok so what VST and pluggins are you guys using, what do they do and which ones do you suggest? never really used any of them, but from what i've been seeing they are definitely needed! What are you using Reaktor to do? Have you got any videos of you in action we could see?? D-Blue Glitch, Artillery, and pretty much anything else made by sugar Bytes. I have Maschine with that being said, I have never looked back at impulse or lives drum rack, for building a My drum beats unless of course I've built a Drum kit selector it's pretty easy to find on youtube.com. I think you can actually download it somewhere online now a days. Ableton really needs to work on increasing the workflow with lives drum programing options. For gods sake reason redrum has a faster work flow as far as I'm concerned. 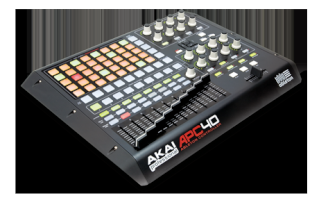 Buy Maschine or even Maschine micro. I highly recommend this tool if your looking to make tunes. If your anything like me once i get a good drum groove going the rest of the track pretty much writes it's self Maschine also comes with the Komplete elements which includes Reaktor, Massive, Kontact and Guitar Rig. I also use Absynth quite a bit. I also have quite a bit of other VSTs as well as close to 100 gigs of samples which I've collected over the years. i really like to limit the use of samples in my tracks. I blame the shift from midi to audio for the huge decline in quality and originality in the EDM community, well that and Beatport. Ps... I totally forgot a lot of the stuff from Izotope but be ready to grab either an eye patch or an American express black card because the Izotope stuff can get pretty expensive.